LiveChat will provide your customers with a decent user experience. I'd say it is better suited towards providing live chat in a support (rather than sales or lead generation) context. Stripe, for example, use LiveChat for customer support. One thing which is a potential annoyance for website visitors is how LiveChat captures emails. In LiveChat you can set up a pre-chat form so that the visitor has to fill in their details before the chat has started. Other live chat providers like intercom and crisp incorporate email capture more naturally into the flow of the conversation. 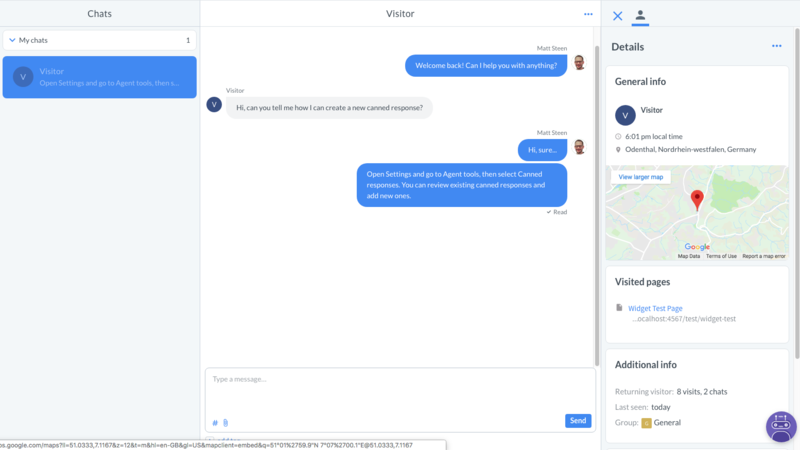 The user experience for chatting with a customer is good, with a well-laid out interface and useful contextual information. 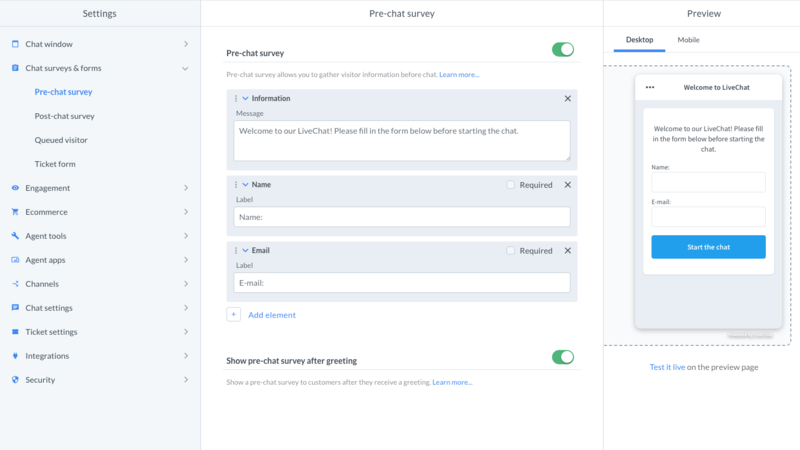 LiveChat also provides apps for Windows, macOS, Android and iOS so you and your co-workers are well-covered for options for the desktop and on the move. 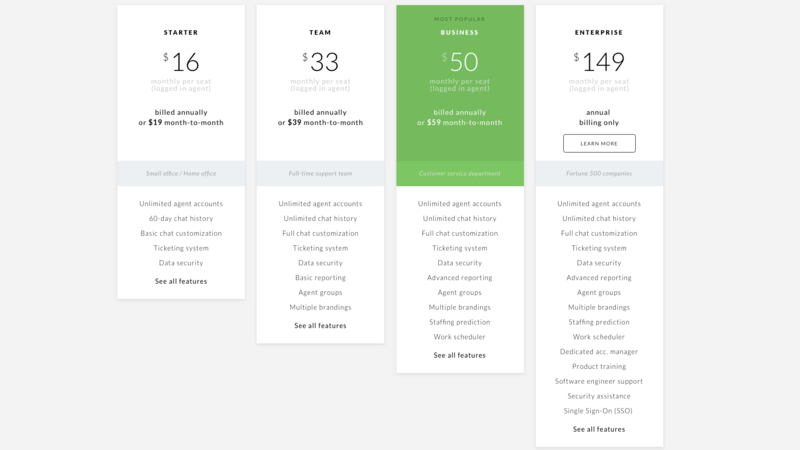 LiveChat has 4 pricing tiers. Within each tier you pay a monthly (or discounted yearly) amount per 'seat'. A seat is filled by each simultaneously logged-in user ("agent"). This means that if you have a support team of 5 people, for example, and if only 3 people ever work a shift at the same time, then you only require 3 seats. Depending on your setup, this can be a money-saver. The LiveChat branding can be removed. This requires an upgrade to at least the Team plan. 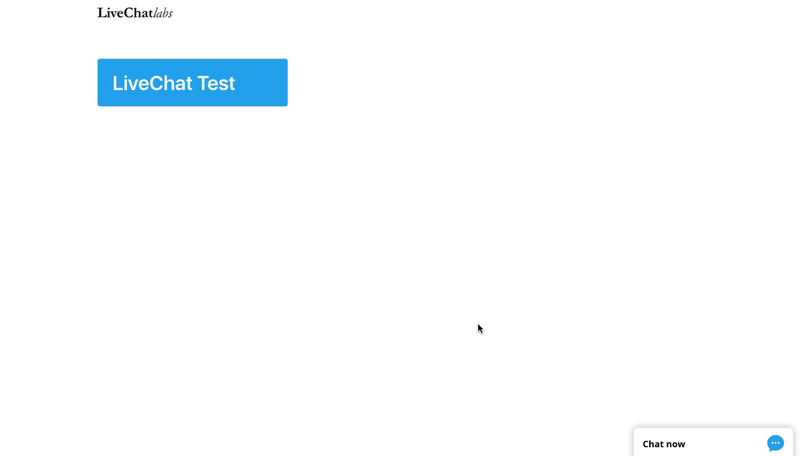 Control when to display the chat widget icon on your website. It can be hidden until activated by a greeting, a custom start chat button, or an open chat window API method. Their are four types of reports: total chats, chat ratings, chat duration and availability. You can filter reports by time period and tags. LiveChat provide a chatbot app. You get a unique incoming email address (in the form 1234@tickets.livechatinc.com). You can set emails to forward to this address if your customers contact you via a support email address (e.g. help@yourdomain.com). When an email is forwarded to LiveChat, a ticket will be created for that email address. LiveChat has a pre-chat survey feature which gives you the ability to ask for data protection consent before a chat. They are also self-certified under the EU-US Privacy Shield and the Swiss-US Privacy Shield. LiveChat has been translated into 45 languages. If you have the Team plan or above you can also add your own bespoke translations and allow visitors to select their own language at the beginning of a chat. Has apps for both iOS and Android so you can reply to visitors and users, add notes and assign conversations whilst on the move. LiveChat also offers desktop apps for Windows and Mac. LiveChat provide a separate knowledge base which can be integrated with the chat app to surface help articles during conversations. It cost $39 per month. LiveChat has an API with which you can write and publish apps for LiveChat users.